Coming in late summer of 2019, Alexandria Summer Restaurant Week invites foodies to explore the vibrant and diverse neighborhoods of Old Town, Del Ray, Carlyle/Eisenhower and the West End. 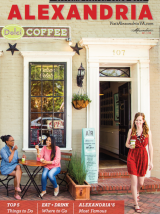 Savor the flavors of Alexandria’s distinctive collection of eateries, from fine dining to cozy restaurants in historic buildings. Hungry now? Check out our restaurants or browse our Alexandria Menu Book. Are you an Alexandria restaurant interested participating in Alexandria Summer Restaurant Week 2019? If so, please email ask@visitalxva.com for more information.